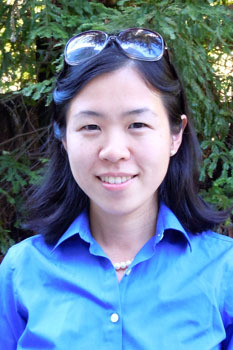 Grace Gu is the recipient of a 2015-16 Hellman Fellows Program Award. This award will fund research on the cost of employee benefits to firms and its potential impacts on employment and monetary policy. Established at UCSC in 2011, the purpose of the Hellman Fellows Program is to support substantially the research by promising assistant professors who show capacity for great distinction in their research. The Hellman Follows Program has been established at thirteen institutions, nine of them are campuses in the UC-system. The awards are open to support assistant professors in all fields of study at UC Santa Cruz who have served two to three years at the assistant professor rank (as of July 1 of this calendar year) as evidence of their promise of distinction. Funding will be split roughly equally between assistant professors in the physical and life sciences and engineering, and assistant professors in the arts, humanities, and social sciences. The maximum award is $50,000, although most awards are expected to be in the $10,000 to $25,000 range. Proposals should be submitted by individual faculty members. The Hellman family has observed that junior faculty are often well-funded when first hired, but challenges arise in 2-3 years when start-up funding is exhausted and before first grants are obtained. This program is designed to assist promising young faculty at this point in their careers.